This is my second indicator. Its purpose is to understand a trend. This indicator is actually based on moving average. The default period is 20. Users can change settings as per required. Three lines of moving averages are running on a chart - lime, yellow, and red. The default period is 20. If Period selection is 20 then yellow will be 40 and red will 60. 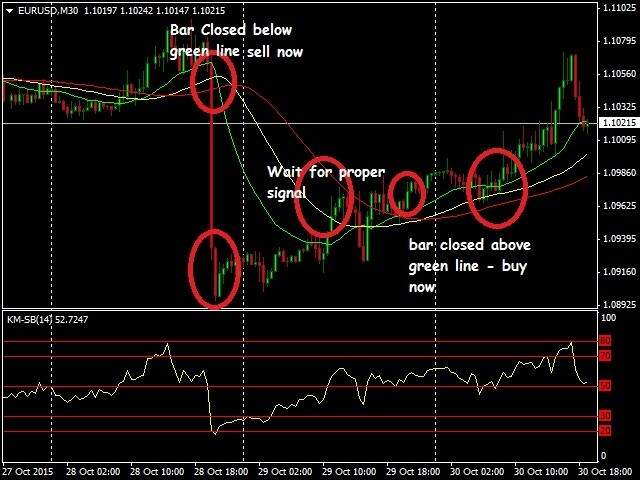 Timeframe: The indicator is most efficient on H1 and H4. However, I use it on M30. Please see the screenshot for more clarifications or contact me.